Hurray, autumn is here! Also known as fall (when the leaves fall from the trees), autumn is one of the four temperate seasons. It is the period between summer and winter. According to Google, autumn 2018 in Northern Hemisphere began on the 23rd of September will end on the 21st of December. Riding a motorcycle in this season is one of the most enjoyable experiences you can have. While many are excited about the pleasures of this season others are looking for protection from the cold. 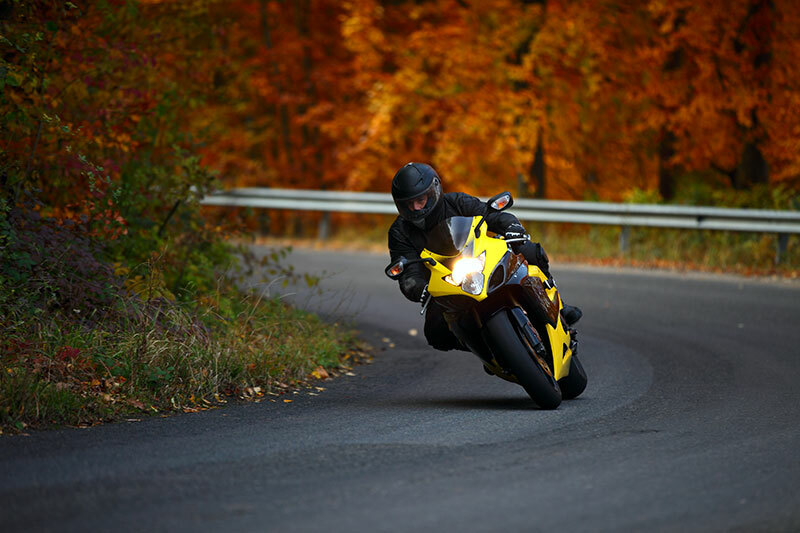 Buying good quality motorcycle gear will surely protect you during autumn. Items like helmets, leather boots, gloves, and jackets are all very important pieces of equipment that you need to make your trip very comfortable. The best motorcycle gear will ensure your safety during this transition period. Usher in autumn with the following mandatory motorcycle gear. If you don’t have a motorcycle helmet, then you must get one now. This gear is vital for your safety. Accidents cannot be predicted, as a matter of fact, no one wishes an accident for him or herself. But in the event of an accident, a motorcycle helmet is the first lifesaving must-have equipment. Why? Simply because it protects one of the most delicate parts of the human body – the brain. For this cause, it is best for you to replace dented or damaged helmets with new ones. Any damage to your helmet reduces its protection power and increases the risk of brain damage. Think of it as a lifesaving investment. Leather jackets are designed to protect your skin from injuries when you fall. As helmets protect your face, jackets protect your upper body. Leather is the material used because of its sturdy nature. It does not only ensure protection, but it is also meant to keep you warm during the cold season. Polishing your jackets is a good practice; it makes it shiny, more durable, and long-lasting. These are important for your safety (prevents your hands from injuries during a crash) and comfort (flexibility) when riding. Leather gloves always go well with jackets so look for a color that will complement with the jacket. Your motorcycle gear isn’t complete without a leather boot. This piece ensures protection for your legs and also keeps your feet warm. You’ll find different sizes and designs to choose from. When you want to buy gear for your two wheels, look for colours that match your motorcycle. This makes you good looking, fashionable, and attractive. In addition, the quality of your gear will determine your safety during an accident. It is important that you take your time to make sure you get nothing but good quality gear for your motorcycle.